Describe this Piece: This is a drawing style I invented that is based on the Tonal Painting Method called an ‘Estompe’ which is ‘to blur’ in French. There are no lines only statements against the form. This is a portrait of the Editor in Chief of ‘Le Courrier’ here in Paris. http://www.lecourrierdelarchitecte.com/expoconcours_352 This work will exhibited in Paris the week of April 14, 2011. Similar to some of my own drawings, but mine have hard lines and yours do not. There really is no comparison. Your drawing is wonderful and I would love to watch while you draw. Excellent work. I like your style so smooth ,lovely painting thank you for posting and good luck in paris. It is a wonderful three dimensional portrait. 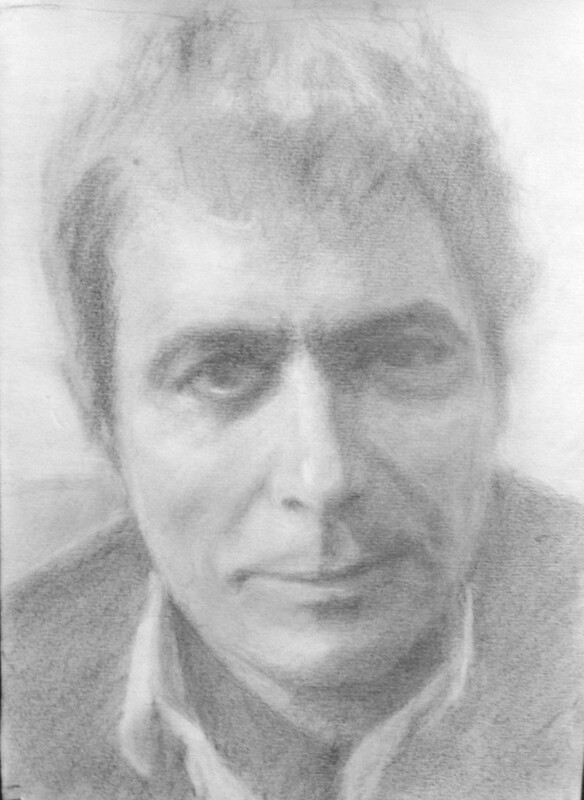 I like Mr. Guillaume how to handle five value (local, shadow, turning point, high light and reflection light) in the drawing. I am a self-taught student. I made a drawing from a picture and extremely concentrated on five features. my drawing looked similar to the movie star picture but they did not have any tonal feeling. I can say I am strongly attracted to this piece. Very nice and so life like ! Your subject is one most would avoid. It takes true talent to do a portrait. You have captured the essence of the subject. Very warm. I’d love to have you do one of each of my 3 sons. I know I’d be pleased. KUDOS!